Allow me to introduce myself, my name is Don Koonce. I am a former adjunct teacher at Kingwood and Montgomery Colleges specializing in software training. I now have my own studio which enables me to TEACH WHAT YOUR STUDENT WANTS TO LEARN AT THEIR OWN PACE. I find teaching youth very rewarding and am always delighted to teach students who want to learn. I am limiting my computer classes to middle school and high school age students. Students can learn at their own pace. Either one-on-one training or a group of four or less. Students must be accompanied by an adult. Students have 2 options for one-on-one or group training. 1. Student can sign up for a class listed below for $99/ class. Each class is 12 hours, (4) day, (3) hours/day, (2) week schedule. Can be on Monday/Wednesday or Tuesday/Thursday schedule. Either morning, afternoon, or evening times. Check with DBK for available times. 2. Student can purchase a block of 10 lab hours at $120. This allows the student the flexibility to work on any software program we offer for any length of time any day of the week. Check with DBK for available times. 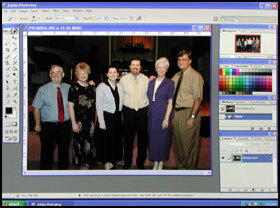 Digital Imaging/Photoshop I - Learn how to edit and print your digital photos, create photomontages, restore old photos, prepare photos for video, learn how to use a scanner, basics of digital camera. Digital Imaging/Photoshop II- Learn how to apply special effects, create a greeting card, prepare photos for the web, create scrapbook pages. 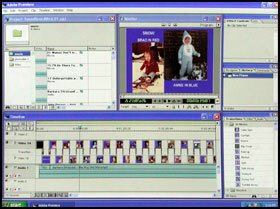 Video Editing I- Learn how to create a photomontage using Adobe Premiere Pro or Elements and burn a DVD. Add music, titles, and artistic transitions to your photos. Learn how to animate titles and photos. Video Editing II- Learn how to import your digital, VHS or 8mm video into Premiere Pro or Elements and burn a DVD. Add photos, music, titles and learn how to animate them. Learn how to convert old audio cassettes to a CD or WAV music file for inclusion in your video. Video Animation- Learn how to create animation for your movie using Adobe After Effects. 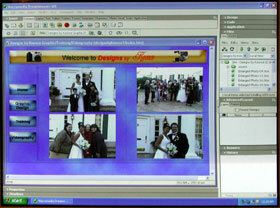 Web Design I- Learn how to create a rich multimedia Web-site using Macromedia Dreamweaver. Add photos, music, custom backgrounds created in Photoshop. Web Design II- Learn how to add advanced features to your Web-site such as Flash movies, video, and music. Learn how to edit music using Sonic Acid or Adobe Audition. PowerPoint - Learn how to create multimedia presentations. Publisher - Learn how to create brochures & flyers. manage your projects and more.